No more stressful neck craning again – the Kogan Dual Rear View Reversing Camera makes tough parking and backing out of the driveway a breeze for even the largest vehicles. The Kogan Dual Rear View Reversing Camera makes reverse parking or backing out of the driveway easier than ever before, providing you with a full view of what is going on behind your vehicle without having to strain yourself by constantly turning around. No matter what the size of your car is, this fantastic multi-angle reversing camera is the perfect solution for improving your field of view. The Kogan Dual Rear View Reversing Camera offers high definition night vision capabilities, making driving a smooth, seamless experience day and night. Dual cameras fully capture a wide angle of everything behind you, and the on-screen guidance helps you to reverse confidently and effortlessly. The Kogan Dual Rear View Reversing Camera is simple to attach and detach, making it easy to remove and store away when it’s not needed. 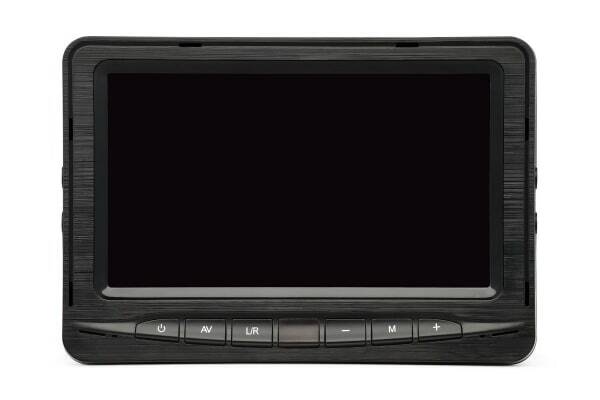 To set it up, simply mount the screen to your dashboard, then position the dual reversing cameras in the optimal position to suit your car. 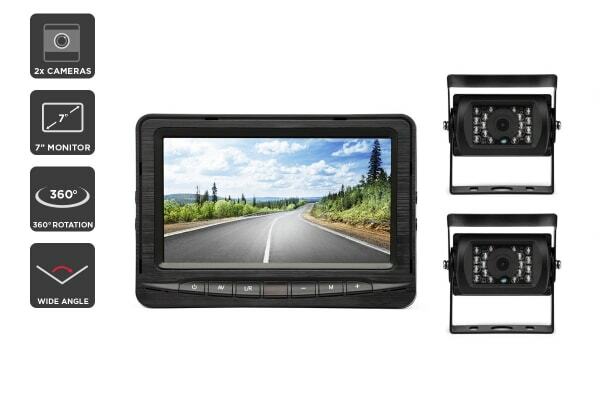 Feel safer with the wide viewing angle of this rear view reversing kit. Enjoy 360 degree rotation with the supported bracket. The included dual cameras fully capture a wide angle of everything behind you, and the on-screen guidance helps you to reverse confidently and effortlessly. 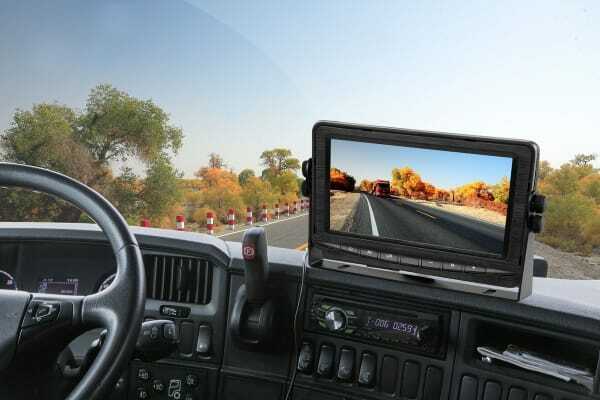 Easily view your surroundings using the large 7" monitor. Simply mount the monitor to your dashboard and experience the ease of reversing with this kit.